Transalpina is the highest road in Romania, crossing the Southern Carpathians. It was built during the reign of King Carol II and this is why it is also called the “King’s Road”. 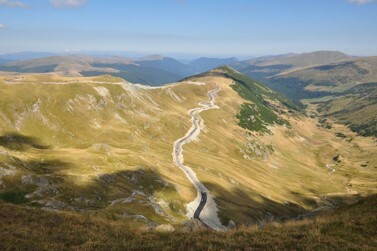 Transalpina connects Transylvania with Oltenia and, although its elevation surpasses that of the Transfagarasan, this high-altitude road is less known by tourists. You can plan a car trip through this beautiful mountain road while you are visiting Romania for a dental treatment. Transalpina is the highest road in Romania, with a maximum altitude of 2,145 m in Urdele Pass. According to folklore, the road has been in use since Roman times. A local legend says that the road was built by local people who contributed to the construction to the best of their abilities. More credible sources place the construction of the Transalpina Road in the time of King Carol II who ruled between 1930 and 1940. The road is believed to have been used as a strategic military corridor during World War II. The beautiful mountain road starts from Jina, the Jina, a commune in Sibiu County, Transylvania. 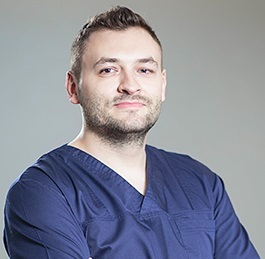 The Jina-Susag area is known for its picturesque landscape and it is also a connection road between Marginimea Sibiului and Valea Sebesului, two touristic areas. The road ends in Novaci, Gorj County, Oltenia. Tourists can start their journey from the south, this time beginning in Novaci and ending their trip in Poiana Sibiului or at the end of the road, in Saliste. The best way to visit this beautiful road is during summer when all of its sections are open. Due to safety reasons the Transalpina, just like its brother-road the Transfaragarsan have several areas closed during the cold winter months. The Transalpina owns its beauty and its name: the road crosses six different mountains: Cindrel, Sureanu, Lotru, Parang, Latortitei and Capatanii. Many say that the road reveals its true beauty in the segment between Obarsia Lotrului and Ranca mountain resort. This ski and mountain resort is also the highest in the country and an excellent stop along the way. Many accommodation facilities are available here, with prices at about 20 euros per night. Tourists who visit the Transalpina will revel in the beauty of nature and the rural, picturesque scenery of Oltenia and Transylvania. If you have a few days available between two different dental treatments or if you undergo a lengthier treatment like a dental implant are want to visit the country, the Transalpina Road is worth your time. 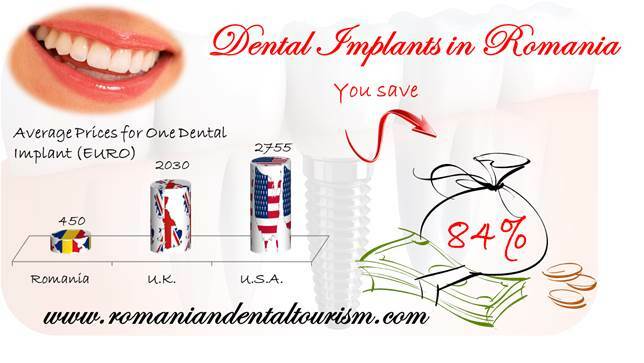 If you are interested in dental treatments abroad you can contact our dental clinic in Bucharest.